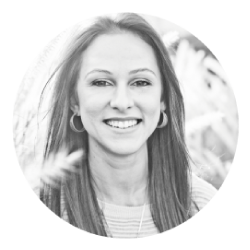 Whether it’s a psychological or emotional trauma through family, friends or society… everyone has experienced some form of wounding one way or another. These emotional wounds only become a problem later on in life if you have not truly processed it. Trauma can be a one-time event or a series of on-going events or even circumstances. Be it psychological, emotional trauma or physical, trauma (click here to read my previous blog on what is trauma) is an experience that was a shock to your system and so overwhelming you were not able to process everything in the moment of occurrence and so it stays stuck in your energy field, frozen in time and space. The trauma then encapsulates itself and separates itself from the rest of your energy field and consciousness. Although it's still a part of you, it creates a barrier of protection around all the emotions, thoughts, feelings that occurred in the moment of trauma. It is basically trapped inside your own consciousness. This often becomes what you suppress and ignore to avoid feeling the pain of the experience. 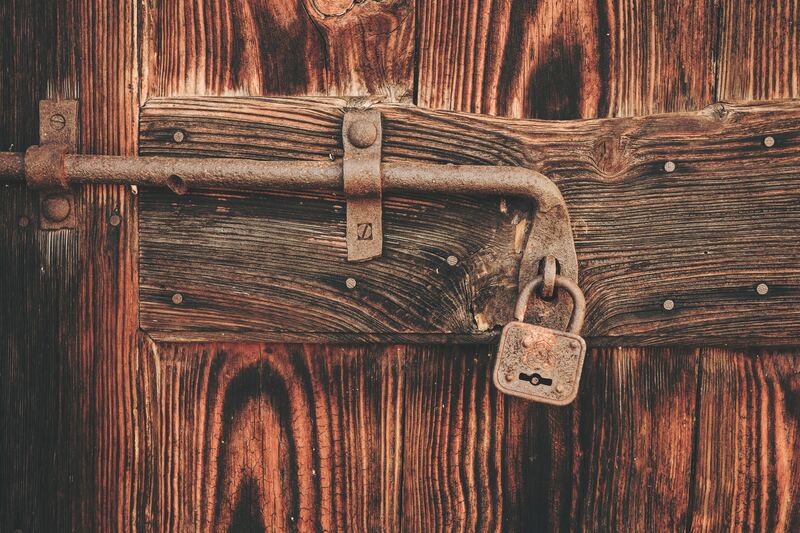 Because of the barrier that is created around the trauma experience inside your consciousness, it stops you from feeling everything inside it which is the trauma experience itself. This is precisely why a lot of people "think" they are "over" a painful experience or emotional trauma because they can't feel it when in actual fact they are not over it at all. They just can't feel the emotions associated with the traumatic experience because of the protective barrier that was created at the moment of the traumatic event. 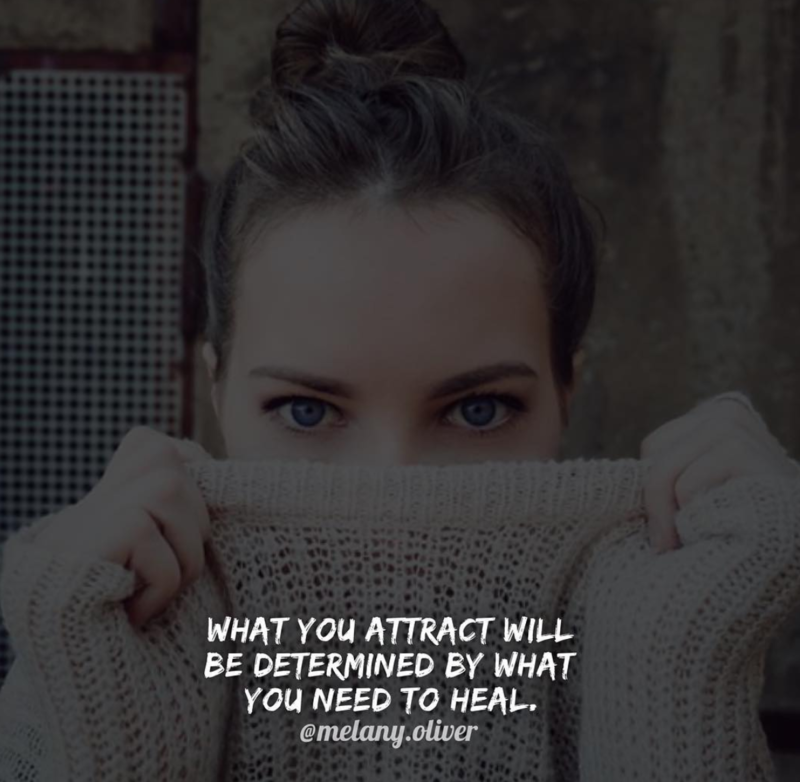 Considering you attract what you feel (the energy you vibrate), this stuck trauma even if you can't "feel" it is inside your consciousness, inside your energy field, so you are constantly vibrating that traumatic energy out whether you are aware of it or not. What happens is you then start to re-live that trauma over and over again. This is the law of attraction at work. More importantly, you re-live the "emotions" and the beliefs associated with it. So you may not necessarily repeat exactly the same event but similar events which make you feel the emotions and beliefs you created at the moment of the trauma. So you know you have trauma stuck in your energy field when you have blocks in certain areas of your life, or if you are emotionally triggered about certain things as well as when you repeat the same negative life patterns. Basically, the unprocessed emotional/psychological wound is ALWAYS trying to get out and be re-integrated within your consciousness. Meaning it wants to be processed, acknowledged and set free... and it can only do this once you allow yourself to truly "feel" it and accept it in your heart. Healing is an experiential process, not an intellectual one. So if you are not feeling it or not working through it inside your own consciousness you will project it outside of yourself and create an event "out there". You must understand this is your Soul at work here trying to get your attention through your experiences to show you what you still need to heal. * If you're a man it can be considered as a weakness in society to feel emotions and you don't want to feel "weak"
Generally, I truly believe that most people avoid facing their wounds out of fear. Fear of feeling so much emotional pain and not being able to cope, fear of losing themselves in the emotional wound, fear of losing control when they sense the depth of the causal emotion, fear of the truth, fear that their negative belief about themselves may actually be true and fear of the entire process in general. Very often when you are feeling emotionally overwhelmed, you haven't even scratched the surface of the core of the emotional trauma! Rather than sitting with it you "react" by doing and projecting out there to avoid looking within, you throw emotional tantrums and set fake intentions, make false-hearted promises to yourself from the wounded place which is why all the praying, crying, affirmations and intentions you set don't work. You cannot heal from the wounded place, you can only heal from your heart. The heart-core level requires you to feel and accept the truth no matter how painful and for this, you have to be "willing". Healing I believe is a choice. You can choose to try your entire life to do quick fixes and mend the effects or the symptoms of the wound and I can promise you one thing, you will never heal doing that. You may get some momentary relief and it may even last a month or two... but in no time you will experience the pattern once again and you can play this game of denial your whole life. Sadly most people do. My point is you cannot bypass your Soul's process of learning from experiences through the mind. You can only learn, grow and evolve spiritually by willingly feeling all your emotions, experiences and accepting them inside your heart. Making yourself busy is just another way of avoiding your inner world. It doesn’t matter how busy you are your inner world goes with you. And since your reality is a projection of your internal state, don't you think it's best to get the inner world aligned before taking action or making changes "out there"? Often people unconsciously associate “doing” with feeling worthy, good enough or at least feeling better about themselves that they are being productive/proactive or everyone's favorite "trying". What's really interesting with this way of avoiding your wound is that no matter what you DO the pattern remains, because the change that needs to take place is processing the emotional wound first and not doing something different out there. I have witnessed clients who are so afraid of the depths of their emotional pain or past traumas and more so the decisions and changes that they will have to make as a result of their healing, that when they start to feel a shift after starting their inner work they back off and all of a sudden get "busy" with life. Some will come to the edge and just when they are about to break through their barrier because it's a little hard initially they back down, say they "tried or are trying" and yet again busy themselves with life. So, are you making yourself so busy to avoid your inner world? This is actually typical of the emotional flight response (click here to read more). It is so interesting listening to people justify why they don’t have emotional wounds. Your wounded ego will come up with all sorts of reasons. I remember a client years ago, she was the CEO of a big bank. She told me about a specific situation, repetitive pattern that was happening at work and that would make her act like a 5-year-old and she couldn't control it, she would just act out and she often felt ashamed or bad after but couldn't help herself. This is a classic case of inner child wounding. Even the words she used is a clear indication of perhaps an emotional trauma at around the age of 5. Needless to say, I was in awe! She then proceeded to intellectualize to me why she didn't have any childhood trauma and has overcome all her issues. I explained again and shared some client stories of minor traumas that actually affected clients much later on in life. Once again she was in complete denial, unwilling to even do the exercise or consider this as part of the root cause and started to tell me about her IQ scores and how she makes millions for the bank so she couldn't possibly have inner child wounds. Just because you have a high IQ and make millions does not mean you have a high EQ (emotional intelligence). Emotional intelligence comes from processing emotions and has nothing to do with being intelligent, reading lots of books or being business savvy. Intellectualizing is all in the mind, it is your ability to work through your mental realm. Emotional wounds lie in the realm of your emotional body, you have to feel it inside your body. This requires a willingness on your part to feel uncomfortable at times, especially while processing painful emotions. Emotional intelligence is your ability to acknowledge, feel, understand and manage your own emotions. You will never be able to intellectually process your emotions, this is impossible. It's like trying to digest food with your heart - not possible. Of course, the heart helps the process by pumping blood to the gut so it can have the energy and oxygen to function but it can't actually process the food itself. But truly processing traumatic experiences requires you to feel your emotions, end of story. You can intellectualize and justify all you want all you are doing is adding more layers of denial around the emotional wound and creating one big "onion layer" which later on you will have to work through ONE BY ONE!!! Very often in the moment of trauma, your soul leaves the body. You do this in order to protect yourself to some extent and avoid feeling the overwhelming physical, mental and emotional pain inside your body. You disassociate yourself from your body in order to cope at the moment of trauma. I experienced this several times through some of my traumas. For example, where I was supposed to be in a panic after being attacked and dragged on the tarmac floor for 30-50meters by 2 men on a motorbike, I was completely calm and at peace. Even immediately after it all happened I was calm and collected. Although I had the upper part of my back scrapped raw, my right foot sliced open at the top you could see my tendons and bones and all sorts of cuts and bruises all over my body. I was in a pile of my own blood and didn't even notice, I tried to get up thinking and even stating to everyone around that I'm fine. I was not fine, just totally dissociated to the point I could not feel my body, I was numb so I couldn't feel any pain hence had no idea my foot was even sliced open or that my back was raw until my friend who came running reached me and held me down, she calmly told me you're not ok, I won't let you look at your foot or body so just look at me and talk to me until the ambulance arrives. She held my scarf over my foot tight and it was only hours later when I was in the hospital bed that the pain started to kick in. The same happens when it's emotional or even psychological trauma. I see this so often in clients who have experienced a lot of psychological and emotional trauma throughout childhood. In the moment of trauma, you disconnect from your body in order to feel more in control and safe whilst experiencing the shock and overwhelming experience of being traumatized. What happens after is that people tend to stay in that state of being dissociated and even exaggeratedly start to disconnect from their body. This state becomes "safe", it feels better than being inside the body because inside the body is where the trapped emotions lie which is, in essence, the traumatic experience. I have also seen "spiritual" people trapped in exaggerated detachment use "spiritual concepts" in a wrong way to justify their unwillingness to feel their emotions and stop themselves from going through the often painful process of healing. One classic concept is "transcendence". They will meditate to "transcend" the emotions (literally sitting on top of the emotion if you like) using their mind to detach themselves from their own body, which is great for OBEs (Out of Body Experience) and other things but not for healing emotional wounds. 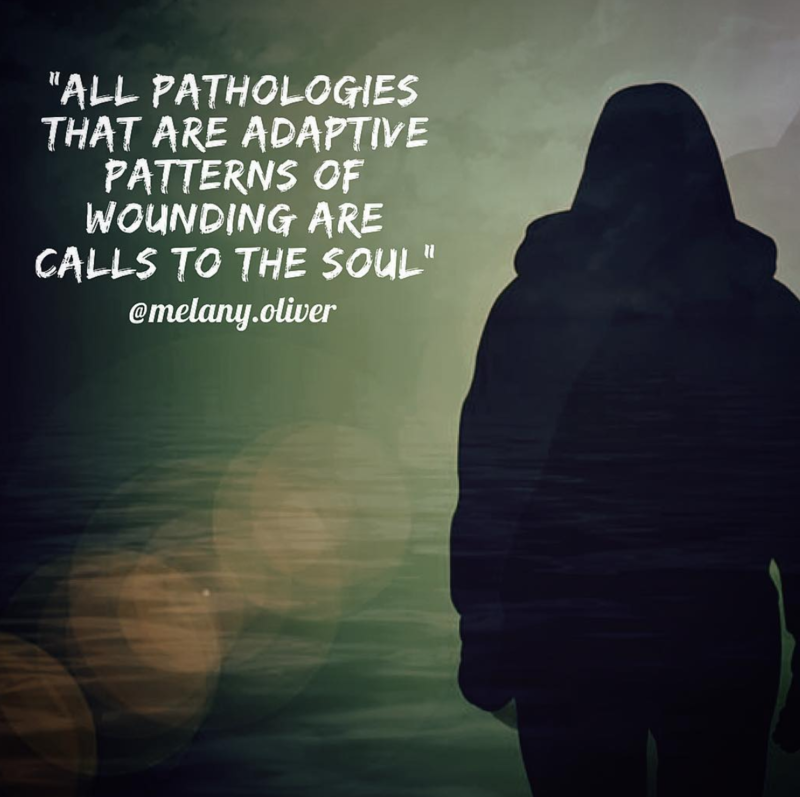 And when the pattern clearly remains your transcendence technique and thinking this is healing is delusional, you are simply not facing what you need to face or learning any of your Soul lessons. This is actually known as "spiritual bypassing", I wrote about it a while back (click here to read more). After a long time of doing this, the person tends to become emotionally numb. They create a barrier of numbness in particular around the emotional wound and use all their energy in shutting down any emotions while constantly making sure (somewhat unconsciously or consciously) they are dissociated in order to feel they are "in control", "safe" and keeping it all together. Yes, they may feel some shallow surface emotions and frustrations but are numb to the causal emotion and in complete denial of how their past traumas are still affecting them and repeating themselves, which is a little ironic. Because they are not connected to their body they "think" they don't have any emotional trauma to deal with and hence most people who are in this state mistakenly believe they are "over their emotional wounding / or childhood traumas". Living in a dissociated state then becomes a form of protection mechanism and also a habit you use to basically avoid dealing with your inner demons, feeling the suppressed emotional pain or the raw truth that feels unbearable to accept. 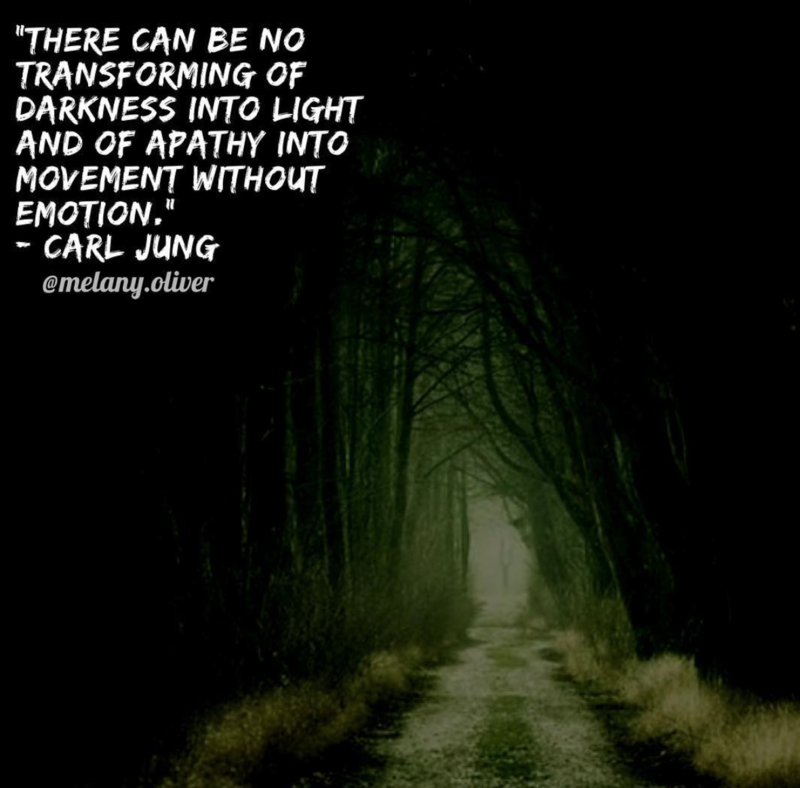 This is actually part of the freeze emotional response I talked about in a previous blog (click here to read more) You may also have a tendency to project your awareness into your mind shutting down any sensation of emotions. You remove your conscious awareness from the wounded parts so much you don't actually "feel" anything and in fact disconnect completely from your physical body. I even found out recently that an extreme case of dissociation is actually a disorder known as "depersonalization-derealization disorder" DPD for short (click here to read more). It is actually a condition and one that I see so often with clients it is scary as it often goes undiagnosed. So many times I have worked with clients where they "think" they are over something and as soon as I gently guide them into an inner child healing or some other emotional processing exercise within seconds of connecting with that wound they will be in tears. This is when I know they have touched part of the core of their trapped trauma. So if you still think you don't have emotional wounds but are stuck in negative life patterns perhaps you are so disassociated from your own body you can't actually feel your emotions... You can't feel your deep unconscious wounds because you detached your conscious awareness from them a long time ago. Or maybe you are making yourself so busy with life and justifying your excuses that all you are really doing is protecting yourself from feeling the pain of that old wound that is only keeping you stuck in negative life patterns you want to break free from. As I have always said, the only way out is through so stop avoiding your inner world. Accept the fact that it will be uncomfortable to process, start creating a desire to feel and willingness to go through the process and know that once you do and get through to the other side, your life will be transformed. According to Richard Grannon recovering from CPTSD can take up to 6 weeks, however, co-dependency is a deep-rooted pattern which can take much longer.